Lateef is multi-talented Actor, Stand Up Comedian, and Creator. 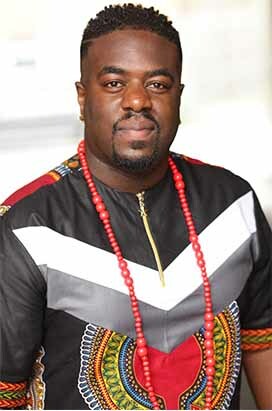 He is also one of the most distinctive acts on both the black, mainstream and International Comedy circuits and has been an International headliner in countries such as the US, Belgium, Nigeria, Jersey, Sweden, Norway, and South Africa. As an Actor, Lateef has a string of Feature Film, TV, Radio and Theatre credits both in the UK and internationally and has recently just completed writing, starring, and producing his own comedy sketch show pilot “HeSaidSheSaid”. Lateef has achieved great commercial success too, being selected as the new face of the ITV Hub and was head hunted to be the official commercial mascot for major energy brand U Switch, playing the role of ‘Coach’ seen across TV and all major digital platforms; the commercial has already amassed over 5 million views on YouTube.